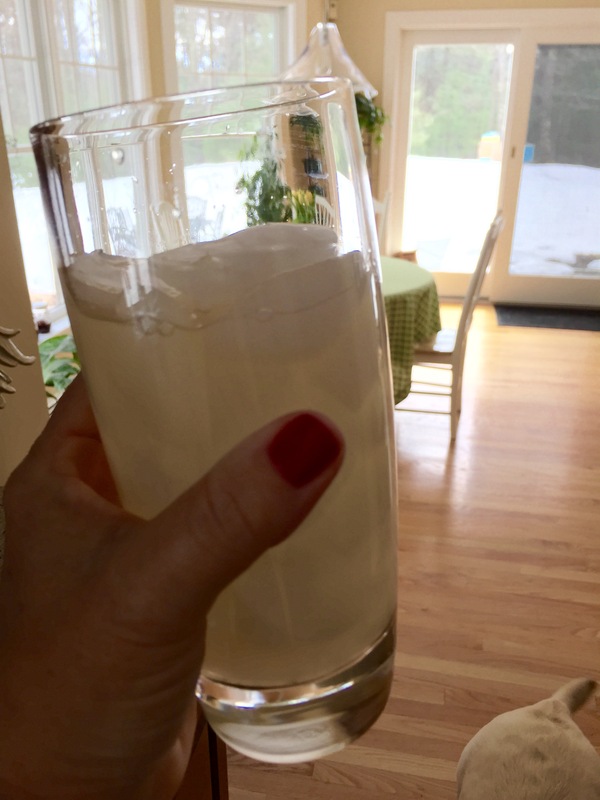 I’m in the middle of labeling more batches of my herbal products for my Etsy shop, sipping on a tall glass of ginger honey lemonade and thought I should share this awesome recipe. I can get back to labeling later. Making it by the gallon will make sense after you’ve had a glass. It doesn’t last long. 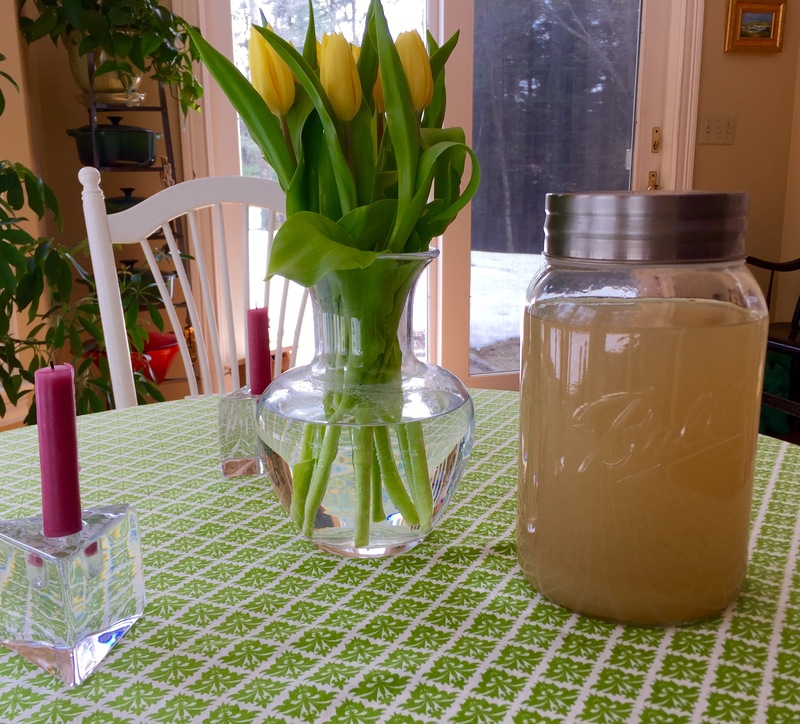 This lemonade is super simple to make and is so good for you. Ginger is in the same family as turmeric and cardamom, making it very warming and stimulating to the circulatory system. Ginger is soothing to the digestive tract, is anti-inflammatory, and some resources show that it inhibits the growth of rhinovirus, the common cold. Lemon juice is loaded with vitamins and minerals, stimulates the production of bile to help move toxins out of your body, is antiseptic and anti-bacterial, aids digestion, and as an added bonus makes your skin radiate. If you want to really boost your immunity zest some of the lemons into the lemonade! The zest has five times more antioxidant power than the juice. Raw honey is a miracle food created by the wondrous, hard-working humble honey bee. There is some truth to honey helping with allergies so it is best to get honey that’s been created from your local flora. Honey is antibacterial, anti-microbial, and reduces inflammation. And honey is lower on the glycemic index making it a much better natural alternative to white sugar. Where do I get my raw honey? I am lucky enough to have my own apiary and access to raw honey, but if you’re looking for good honey you must seek out a local beekeeper. Google search for a local beekeepers club and give them a call. Better yet, go to your local farmer’s market. There’s bound to be a beekeeper or two selling their own honey and beeswax products. Make sure it’s raw, though. It may be crystalized or it may not. It’s not bad if it has crystalized; it’s a normal process that occurs after the honey is removed from the hive. We like the crystalized honey – it’s easy to spread on toast, melt into tea, and blend into smoothies and measure for recipes. NOTE: Avoid pasteurized honey! It is no better than sugar. And don’t even bother with commercial brands of honey since many are imported and we are now finding out are not even real honey but high fructose corn syrup and other fillers. Yuck. Who needs it? In a large pot, bring the water to a boil. Add the grated ginger and simmer for 45 minutes. Turn heat off and let sit for 2 hours. Strain the ginger out of the water, using a fine mesh sieve, into a serving pitcher or large container. Add the lemon juice and honey while the ginger water is still warm. Stir until combined. Taste and adjust sweetness. Serve warm or chilled on ice. Garnish with a lemon wedge.